Federal Food Regulation Reform Imminent? Are Entrepreneurial Success and Limited Regulation Tied Together? Clyde Wayne Crews Jr., Policy Director at the Competitive Enterprise Institute, analyses recent studies conducted on the subject of entrepreneurship and regulation. Crews argues data demonstrates countries with fewer regulatory roadblocks tend to have higher amounts of entrepreneurial growth. Full Article: What Do Scholars Say About The Empirical Relationships Between Regulation And Entrepreneurship? 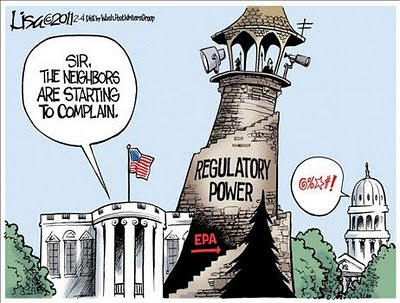 Does Regulation Create more Consumer Frustration?